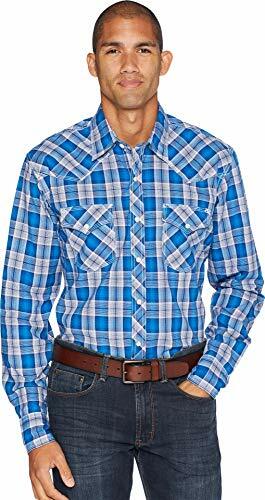 Head off to the next rodeo on the circuit when you wear this shirt from Wrangler. This shirt has cotton blend construction with a classic fit that will allow you to move easily without restriction. The plaid design and snap-down front will quickly make this one of your go-to choices for any event you attend. Fill your closet with high-quality Wrangler apparel that will last for years to come.